We report changes in function that can affect the skills required to use a manual wheelchair after reconstructive tetraplegia hand and arm surgery. Tests were conducted before and 12 months after surgery. 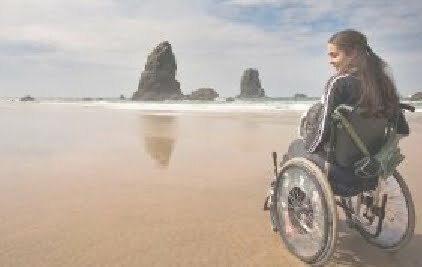 16 individuals who underwent a total of 23 grip/elbow extension reconstructions and who used a manual wheelchair as their main form of transport were included. Functional tests including 8 aspects of manoeuvring control were performed. 68% of the individuals improved their manoeuvring skills af ter hand surgery. Improvements were also observed in the ability successfully to perform tests that were impossible to perform before surgery. The type of reconstruction and level of injury affected the outcome. 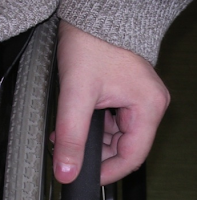 The authors conclude that improvement in wheelchair propulsion ability after reconstructive hand and arm surgery in individuals with tetraplegic spinal cord injury implies increased mobility, which can help individuals to live a more active life (lower right photo from www.wheelchairaccessible.org.uk). Reference: Lamberg A-S and Fridén J. J Rehabil Med 43:714-719, 2011.